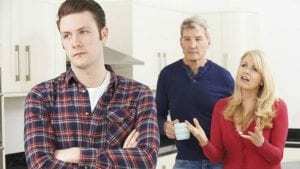 The baby boomer generation is feeling the strain of boomerang kids with more and more adult children being forced to stay in or return to their nest because they are unable to financially afford to do otherwise. Adult children are finding it tough to be able to achieve self-sufficiency in our post-recession age thanks to low wage gains and high rates of unemployment, with many parents helping them out, some at the risk of their own financial security. While many parents simply help out by offering free or low room and board, others are going so far as to help with major purchases such as computers or motor vehicles, paying off credit card bills or even paying for groceries or helping them out with rent. High property prices, increasing youth unemployment and the increasing cost of post-secondary education is forcing young adults to rely on their parents for financial support more than ever.